Located within a 5-minute walk of Ripken Stadium, Residence Inn Aberdeen at Ripken Stadium is within a few miles (5 km) of Cal Ripken Museum. This 78-room, 3-star hotel welcomes guests with conveniences like an indoor pool, free in-room WiFi, and free self parking. Free continental breakfast is included with your stay. Explore the hotel and meet new friends over drinks at the bar/lounge, or enjoy a bite to eat at the onsite restaurant. For a nice break, mingle with other guests at the free manager's reception. An LCD TV comes with cable channels and pay movies, and guests can stay connected with free WiFi and wired Internet. Beds sport premium bedding and the bathroom offers a hair dryer and free toiletries. Other standard amenities include a kitchen, a sofa bed, and a refrigerator. At Residence Inn Aberdeen at Ripken Stadium, guests enjoy features like an indoor pool, a fitness center, and a spa tub. If you drive, take advantage of free parking. The front desk is staffed 24 hours a day to help with securing valuables and dry cleaning/laundry. Additional amenities include free WiFi in public areas, conference space, and a business center. In addition to an indoor pool, Residence Inn Aberdeen at Ripken Stadium provides a spa tub and a fitness center. Dining options at the hotel include a restaurant and a snack bar/deli. A bar/lounge is on site where guests can unwind with a drink. A complimentary breakfast and manager's reception are offered (may not be available daily). Public areas are equipped with complimentary wireless Internet access. This 3-star property offers access to a business center. This business-friendly hotel also offers barbecue grills, coffee/tea in a common area, and laundry facilities. Onsite self parking is complimentary. Residence Inn Aberdeen at Ripken Stadium is a smoke-free property. 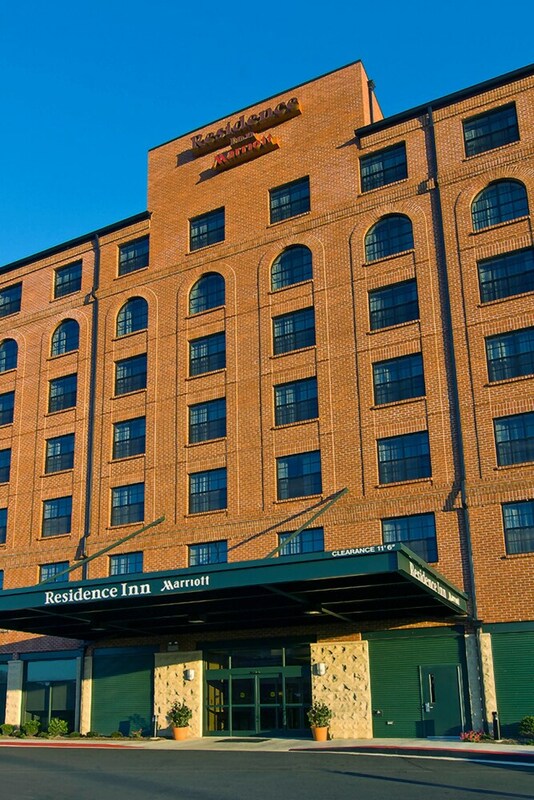 Residence Inn Aberdeen at Ripken Stadium offers 78 air-conditioned accommodations with safes and complimentary newspapers. Accommodations are furnished with sofa beds and desks. Beds feature premium bedding. Accommodations at this 3-star hotel have kitchens with refrigerators, stovetops, microwaves, and cookware/dishes/utensils. Bathrooms include complimentary toiletries and hair dryers. Guests can surf the web using the complimentary wired and wireless Internet access. LCD televisions come with premium cable channels and pay movies. Additionally, rooms include coffee/tea makers and irons/ironing boards. Housekeeping is provided daily. Guests are offered a complimentary continental breakfast. The hotel offers a complimentary manager's reception on select days. Residence Inn Aberdeen at Ripken Stadium has a restaurant on site.